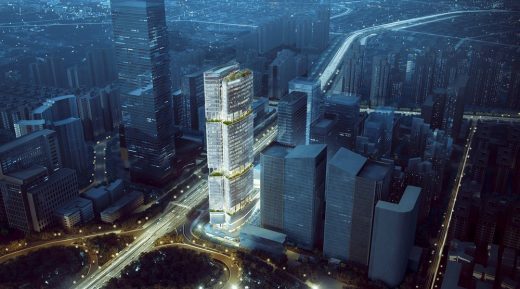 China World Trade Center Phase 3C in Beijing, China, designed by Andrew Bromberg at Aedas, made a double win at MIPIM, the world’s leading property market, this year in France – the project was crowned Best Futura Project at MIPIM Awards 2017 and awarded a Commendation in the Retail and Leisure category at The Architectural Review MIPIM Future Project Awards. 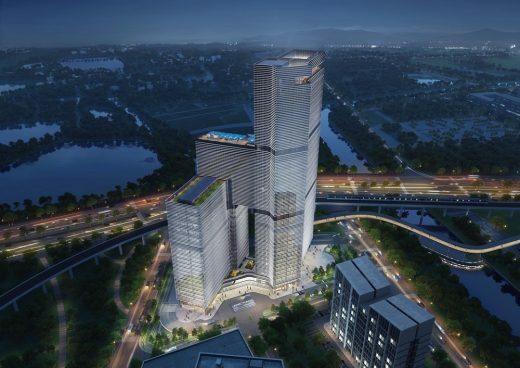 Anchoring the new central business district in the capital city is the China World Trade Center development which has grown organically over the past 30 years. 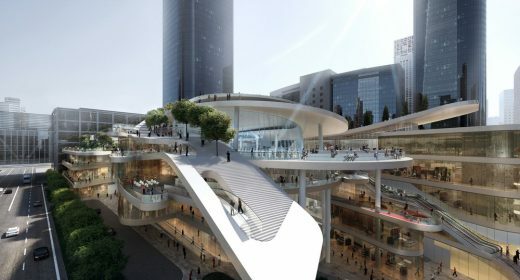 Phase 3C is the fifth and final phase for the entire development, and it is set to become a catalyst as a cultural centre to bring people together from within and beyond China World Trade Center by introducing a ‘Civic Green’ to the entire master plan and serving as a front door to the complex. 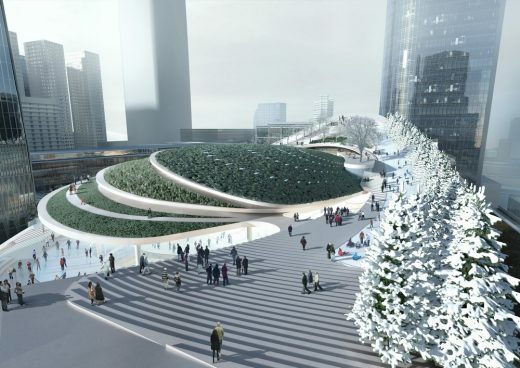 It will also allow a continuous loop which ties the current and future subway lines together to enable and encourage connections over and under Third Ring Road. The challenge and the motivation of the scheme is to allow the Civic Green, front door and retail loop to complement each other. 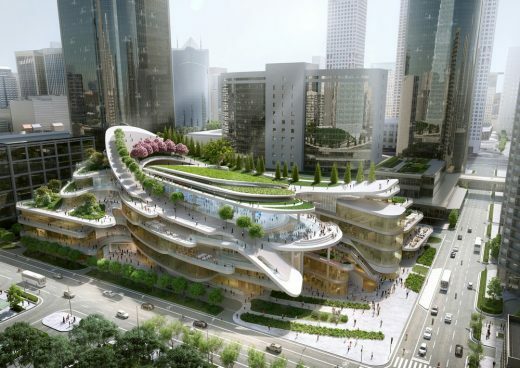 The Civic Green is designed to be a sloped plan lifted above the ground, dipping down to the main entrance and allowing immediate access and visibility from all levels of the development. The front door, on the other hand, is carved to immediately descend down to the retail loop, extending the basement as part of the ground plane. 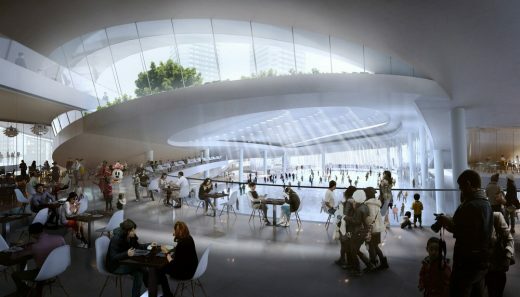 A large exhibition center becomes the ‘attractor’ at the basement level to invite visitors down to the retail loop, while an Olympic-sized ice-skating rink under the Civic Green is another attractor from above. The programmes are thoughtfully planned to be more civic focused. 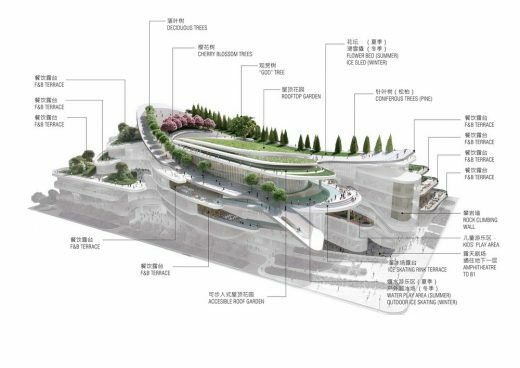 In additional to traditional retail and food and beverage elements, there will be art studios, large exhibition spaces, an organic farm, cultural and educational facilities to enrich the site.